Fire Prevention & Safety Night—The Linden Fire Prevention Bureau held its annual Fire Prevention and Life Safety night on Sept. 30. Children were eligible to register for the prize drawings after completing fire prevention activities set up at the event. 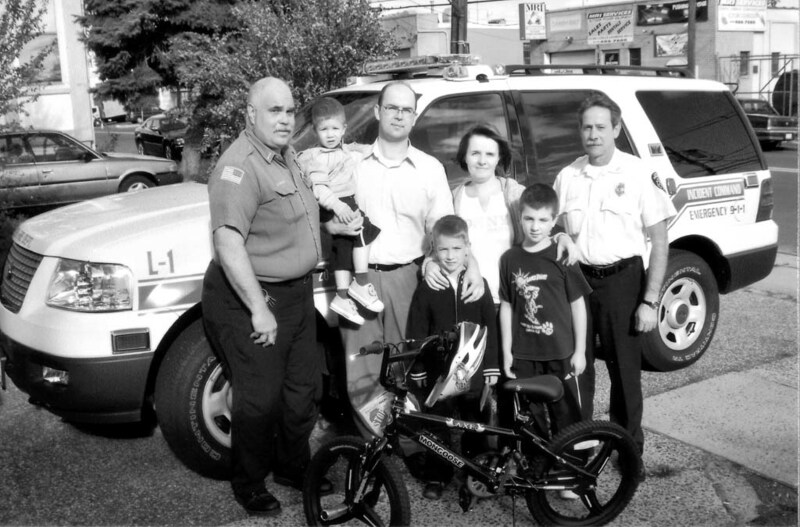 Pictured from left to right are Lt. Wayne Hanns of the Linden Fire Prevention Bureau, Tomas Pudlik (winner of two movie tickets), his parents Jarek and Aga and Acting Fire Chief Joseph Rizzo. In the front (from left to right) are Michal Pudlik (first place winner of the bicycle) and his brother, Maciej. The bicycle was donated by Wal-Mart and the two movie tickets were donated by AMC Movie Theatres.